What a great place. Camping du Stade, 15 Euros a night again, excellent pizza takeaway over the road, easy walk to the beach in one direction and to the village in the other. Buses take you anywhere for one Euro, what’s not to love? The weather, that’s what. Cold, overcast and wet. And we read on the BBC that a heatwave is on the way to the UK due to the great weather in France and Spain. 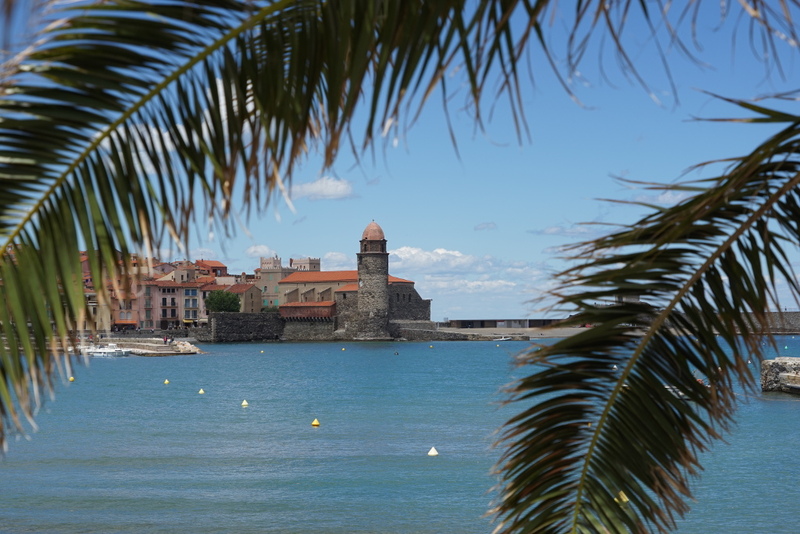 Visited Collioure which is a nice place, famed by painters for the light. Not today, rain soon by the looks of things.